Thank you for reading our blog! The Q&A has been a huge success. 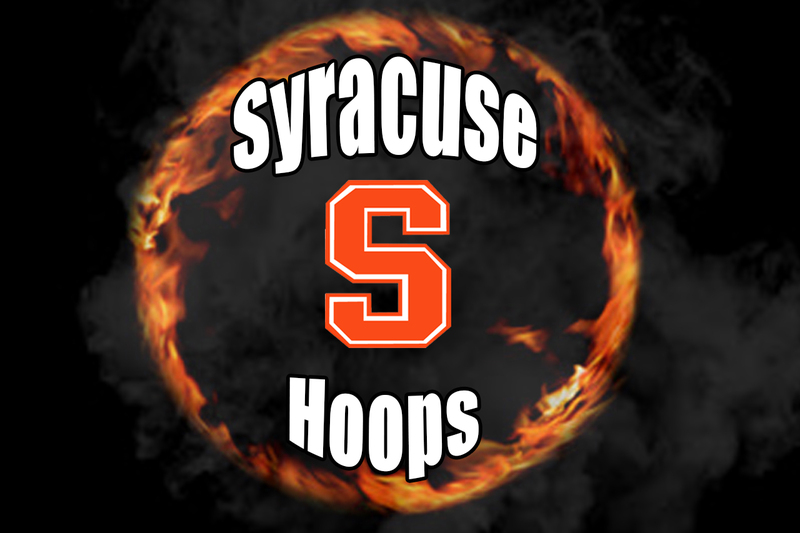 We are planning a Recruiting blog, which will go in-depth on certain recruits that could wind up at ‘Cuse. There were so many questions this week and the interaction. Follow us on Instagram @Syracuse.Hoops. We would LOVE your feedback so comment on this blog or DM us! Enjoy the blog and go Cuse! Q1: What can we expect from Dolezaj? A: Well, Dolezaj’s recruitment was very quiet until he visited the SU campus and then shortly after announced his commitment to Syracuse. And then after that, 247Sports rated him as a top 75 player in the class of 2017. Maybe he really is that good. But it’s tough to tell when evaluating him when he comes from a different path. He played professionally in Europe, which may end up helping him, but you really don’t know. He’ll team up with Matt Moyer and Oshae Brissett to form a talented and versatile formation at the forward positions. All three can play either the 3 or 4, but I expect at least one of them to stick to one position as the year goes on and Jim Boeheim figures out what works and what doesn’t. Dolezaj, in all likelihood, will come off the bench and be a spark, similar to what Oshae Brissett will do. It remains to be seen how many minutes both Dolezaj and Brissett will play because of how they have very similar skillsets (though Dolezaj has said he played the 2 overseas), and until then we’ll have to wait-and-see. But, no matter how much time Dolezaj gets on the court, I fully expect him to play well and develop throughout the campaign. Maybe 7 ppg and 4 rpg would fit in about 20ish minutes. Q2: With the Darius Bazley commitment, what players could SU snag for 2018? A: The Bazley commitment was huge.. He might only be the 32nd ranked player by ESPN, but he could be top 15 if he was only a little bit stronger. Bazley is the forward that Boeheim drools over. He can shoot it, drive, rebound, pass, and handle the ball… basically everything. He just has to get stronger over the next few years to really help his development. And other recruits know that too. Some might even want to play with him because they could use Bazley’s talent to help their talent and their overall game. Jalen Carey, a point guard from Harlem, is someone that SU could land now. He plays on both ends of the floor and is very dynamic and quick. He’s been linked to Kansas, but could end up choosing Syracuse if he wants to stay close to home. Simisola Shittu is another option. Shittu is a PF that plays in Canada that has been linked to Michigan recently and Michigan State. It could be tough to win this guy over because of the depth at the 4 for Syracuse. Maybe he’ll come if Taurean Thompson declares for the draft. But he’s a very good option for the SU coaching staff to go after. Q3: How do you think Matt Moyer will perform? A: Moyer redshirted his freshman campaign, so he’ll still have four years of eligibility remaining. And even though he redshirted this past year, he’s still one of the most experienced players on the roster. Only Tyus Battle, Thompson, Frank Howard, Paschal Chukwu, and Moyer were apart of the SU system last year. And Chukwu only played in 7 games. Moyer spent his offseason (and in-season) to get stronger and enhance his outside shooting. He’s gained at least 15 pounds of muscle and worked on his shooting with the staff between games. Moyer developed last year even though he didn’t get a single minute in a regular season game. He’s already got a year of experience, whereas incoming freshman forwards Oshae Brissett and Marek Dolezaj have zero. That will make difference. Moyer will likely start at a forward spot (my guess the 3 to allow Brissett to play the 4 and Thompson to play the 5) and will play lots of minutes. Once again, he’s one of only 5 returning players. He’ll play a ton, and unless he doesn’t play well at all or gets hurt, he’ll be close to scoring in double figures and will get about 5 rebounds per game. Him, Brissett, and Dolezaj will split time at both forward positions. But, the 2017-18 season will be a better “freshman” season than what would’ve been in 2016-17. Q4: Will Tyler Lydon start in the NBA? A: Lydon is in a tough spot right now with the Nuggets. He’s stuck in a logjam at the PF spot so they recently played him at the SF spot where it’s tough to say whether or not to be able to play defense well enough on smaller guys. But, if he moves back to being a stretch-4 then I do think he can start in the future, but not right now. He needs a few years to develop, and if he finds the right team that gives him a good amount of playing time, then I could see him starting over the course of his career. What is more likely, though, is that Lydon comes off the bench when the team needs a scorer. If he scores and scores and scores, and plays defense, yeah he could start, but that’s a long ways away. Lydon will need some time to develop, but he does possess the talent to start in the NBA if everything goes right. Q5: What are the chances Boeheim’s Army takes TBT? A: I thought they were pretty high going into the first round, then even higher after they crushed DuBois Dream, then dropped a little bit after their shaky win against Gaelnation. At some points BA just took crazy shots without moving the ball around which let the Gaels climb back into the game from a 22 point deficit and force two overtimes. Plus, they need to play a little more defense and raise the effort. No one put a hand up when the Gaels were making bunches of threes. You just knew they were going in. But, I do think they have a chance to win it all. If they shoot like they did in the first round they might not be able to be stopped. 2 down, 4 to go, but they can’t claim the title yet. They’ll have to beat their next opponent in the Super 16, which will be either Team Fancy, the 7-seed, or the 2-seed Supernova. Supernova is full of Villanova alumni, so is going to be a great matchup. It’s a Syracuse-Villanova meeting in the summer. That’ll take place two weeks from now in Brooklyn, so they’ll have time to rest, practice, and prepare for the most challenging team yet. Q6: Who do you think is the best 3-point shooter in school history? A: No doubt it’s GMac. He was the best over his four year career, always being consistent and almost never letting the team down. Yeah, Andrew White broke his record for most in the season, but McNamara did it over the course of his whole college career. Trevor Cooney and Andy Rautins come close, but there’s just that feeling that gives the edge to Gerry McNamara and his prowess while wearing Orange. He seemed to be more electric, especially in the big moments. Q7: What is your favorite SU basketball moment? A: Wow, so many to choose from. I’d have to go with the Tyler Ennis one to beat Pittsburgh back in mid-February of 2014. The meaning and context is 2nd to none. 1st ranked Syracuse versus 25th ranked Pittsburgh at Pitt? A rivalry that has lasted a long time was in play on February 12th. So, Syracuse just allowed a pair of free throws to let Pitt to go up 56-55 with 4.4 seconds left on the clock. Jim Boeheim calls a timeout to set up a play. Jerami Grant inbounds, and passes it to Ennis, who works his way up the court with a double-team and trap looming. He takes his few dribbles and then puts up a shot about 40 feet away and it goes right through the cylinder. “GOT IT! He got it. Syracuse wins it!” said play-by-play guy Bob Wischusen. He was pumped and so were all ‘Cuse fans around the country. It kept Syracuse’s undefeated streak alive as they went to 24-0. The bench went crazy as they all went to hug Ennis. But one of the best things of all was the silence of the Pittsburgh fans in the house, especially head coach Jamie Dixon. Seeing him look down was a thing of joy. It was a nice to get back at Pitt for all the losses that they have brought to Syracuse. Q8: Who is your favorite Syracuse player of all-time? A: I have so many favorite players. It was hard to decide when I looked back at all of them. I narrowed it down to 3, those are Dion Waiters, Johnny Flynn, and CJ Fair. Waiters was a top pick in the draft, which shows how highly regarded he was and how talented he was, but remember how he wasn’t a regular starter for the Orange? Yeah, he came off the bench over the course of his two seasons at Syracuse. That’s how good he was. He performed well so early in his college career that the coaches thought he could develop progressively in their system, then be ready to start as a junior… no, he rose onto the scene ahead of schedule for the coaching staff. Johnny Flynn, was just dynamic and even more dynamic. Going in the first round of the 2009 NBA draft, sixth overall (before a guard out of Davidson named Stephen Curry), to the T-Wolves. It didn’t work out for him there, but his SU career won’t be defined by that. Look at what he did for Syracuse. Remember that 6OT game in March 2008 against UConn in the Big East Tournament? Flynn had one of his best games, while rising up to the challenge. He had 34 points, including 16-16 at the FT line, while being one of only two starters for Syracuse to not foul out. Plus, he played 67 minutes in that game. Flynn was a guy that always showed up to play games and always wanted to achieve the best. You could see it in how he played. Now CJ Fair. Fair was a mainstay in the rotation at Syracuse and the starting lineup in his last three years. His numbers almost stayed the same between his sophomore, junior, and senior seasons, which shows his consistency. Plus, who could ever forget his memorable dunks? Remember the one against St. John’s at the Dome that should’ve counted? He slammed that one down almost too hard. Fair loved the game and represented the Orange the right way over his career. All three were memorable because of how they played, and so many others did. My honorable mention includes Hakim Warrick, Carmelo Anthony, Gerry Macnamara, Eric Devendorf, Scoop Jardine, Rick Jackson, Arinze Okuaku, Kris Joseph, Andy Rautins, Trevor Cooney, Rakeem Christmas, Michael Carter-Williams, and many more. But these three stick out for what they accomplished and how they fought in games when it mattered most. Thank you for reading our Q&A! All the questions were great and it was tough to choose which ones we would answer, but we loved answering them. We will do a collection of posts that will have our predictions of the ACC standings, lineup configurations that could be sent out by Jimmy B. If your question wasn’t answered, chances are it was already answered on a previous blog. If that’s the case, DM us and we can give you the link to our previous blogs. Again, thanks for all the interaction on yet another blog, and we hope you’ll be rooting for Boeheim’s Army (and the Pearl 31s) even more after their first two wins! Go Orange!